Hello. I have a question regarding the installer. 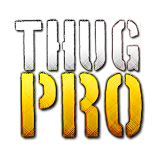 I just recently updated to windows 10 and I have an older version of THUG PRO, which works. I want the THPS3 levels there. Unfortunately, I have an error saying there was a problem reference fetch install 1. Other wise it is still good despite not having all the bug fixes. Pls help! We're currently having problems with our hosting. It will be fixed soon, hopefully! I have a suggestion to make, you guys should add a scooter.